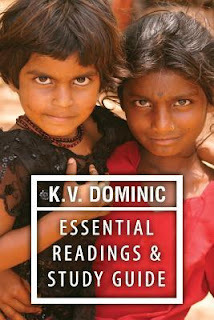 "K. V. Dominic Essential Readings" gathers for the first time the three most important works of poetry from this shining new light of contemporary Indian verse in English: "Winged Reason," "Write Son, Write" and "Multicultural Symphony." A fourth collection of 22 previously unpublished poems round out a complete look at the first 12 years of Dominic's prolific and profound verse. Each poem includes unique Study Guide questions suitable for South Asian studies curricula. First, I want to say thank you to Poetic Book Tours for sending me a copy to review. Now, this isn't the normal type of book that I would read, so I of course agreed to give it a try and see what I may like out there. Personally right from the beginning, I found this to be too structured in the sense that it should be meant for schools and libraries for learning, rather than for pleasure reading. I couldn't really connect with the stories (probably mostly the fact that they were short--I realize they are poems) and felt almost like an outsider. As I got further into the novel, it seemed to progress into meatier things. Between some poems, they also seemed to dive into more personal and realistic, or factual writings, rather than possibly fictional and more emotional writing. I haven't really seen too many reviews on this, but the fact that it is written work someone has done is amazing, I just felt like it wasn't meant for me, or really fit for me as a reader. I have seen a lot of other reviewers praise it, but I found that at many times, it tended to separate people, cultures, and it will soon seem outdated with the current political standings as well. 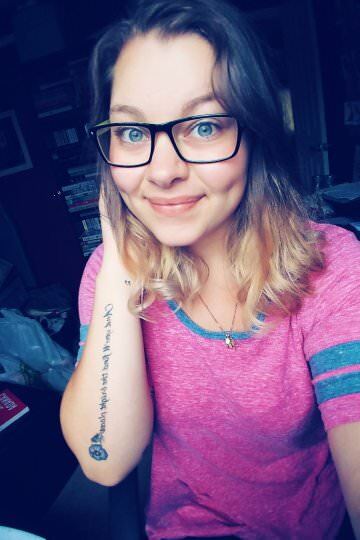 By having more of a factual writing of a poem, I found that it made me disconnect from it, because it wasn't getting from an emotional stance enough (For me at least). I also found that at many times, there was an overuse of "Big words" that could have been reworded to actually engage more readers. Like the synopsis says, it comes with questions at the end of every poem to get you into thinking, and I think that's another reason why I was put off with this collection of poems. I feel that if a poem (or even a novel) is powerful enough, you don't need to have questions after it to have more discussions on it. It would be strong enough to raise communication between people, and I didn't feel that. I'm sure there are many people that would disagree with me, and I'm okay with it, because this is my honest opinion of what I read. It could have also been a bad timing to read this as well, but overall it was not my cup of tea. It has great potential to be around schools to bring more discussion in classes for sure, but I just didn't love it. That's all for my review today bookworms! I hope you enjoyed it, and honestly, don't always feel obligated to go either way with my reviews, because I am sure someone out there reading this probably would love this!